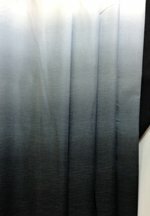 We want to welcome everyone to our inagural newsletter and our new website www.UnBiasedFabrics.com. We've met most of you at events over the last 12 months and appreciate your business through these events and our Etsy shop. Now, on to the good stuff! modkid patterns - 21 new patterns! Fun dresses and rompers for your little ones. Two new colorways in the beautiful gelato ombres from Elite. 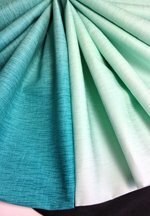 A beautiful aqua and an equally gorgeous grey ombre are added to our selection of tonal and colorful ombres. Four terrific new blenders from LakeHouse DryGoods - Teeny Tiny Donuts in Petal Pink, Raspberry, Lime, and Charcoal.